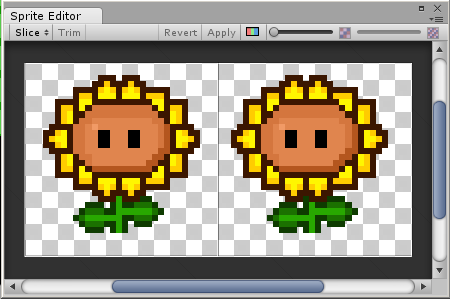 Today we will make a Plants vs. Zombies clone with Unity's 2D features. To keep things simple, we will ignore all the fancy things like the menu, multiple levels or cut-scenes and focus on fighting Zombies in the backyard. 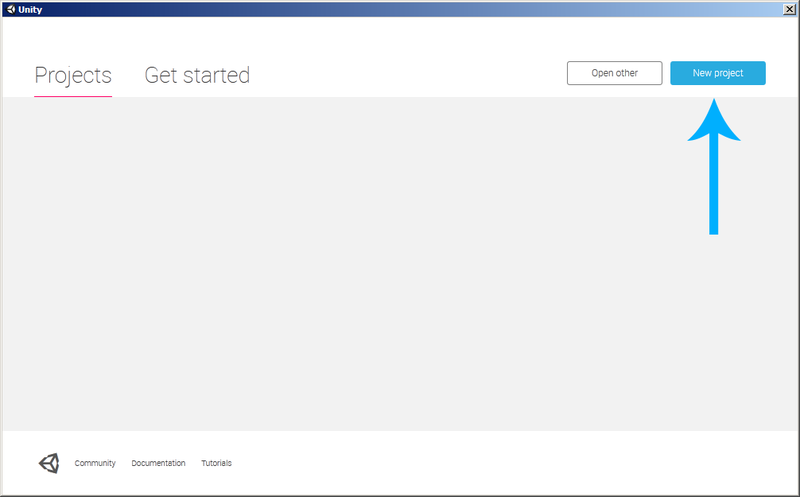 The Tutorial will be really long and detailed, but the end result will be less than 130 lines of code! This Tutorial does not require any advanced knowledge. 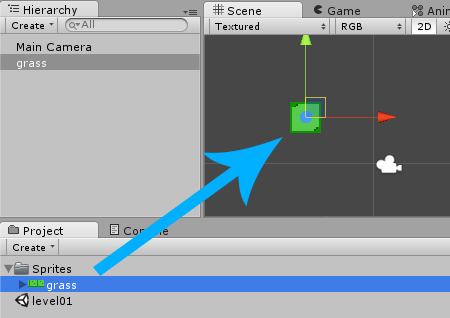 A basic understanding of the Unity engine is still required. Feel free to read our easier Unity Tutorials like Unity 2D Pong Game to get used to the engine. 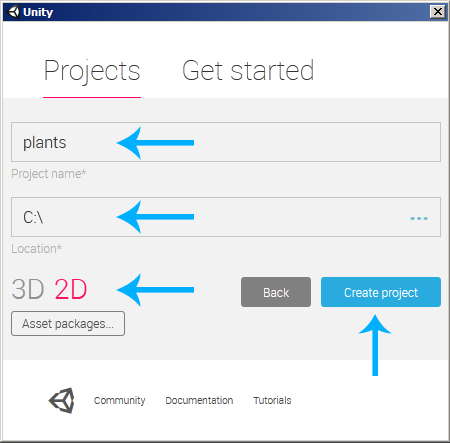 We will use Unity 5.0.1f1 in this Tutorial. Newer versions should work fine as well, older versions may or may not work. The free version of Unity 5 now comes with all the engine features, which makes it the recommended version. 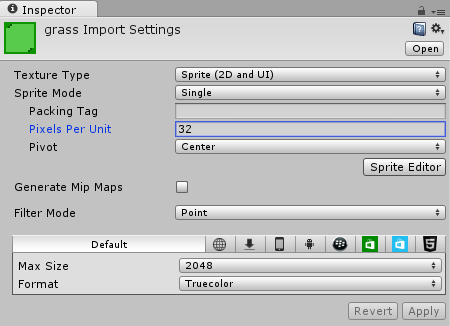 Note: a Pixels to Unit value of 32 means that 32 x 32 pixels will fit into one unit in the game world. We will use this value for all our textures. We are making a 2D game, so we can't use the third dimension as depth effect, or to distinguish between background and foreground easily. 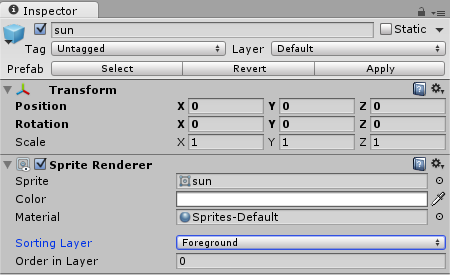 Instead we will use a Sorting Layer to tell Unity which elements it should draw first. For example, our background should be drawn first and the plants should be drawn afterwards (hence on top of the background). Now the grass will always be drawn behind the plants and the zombies. 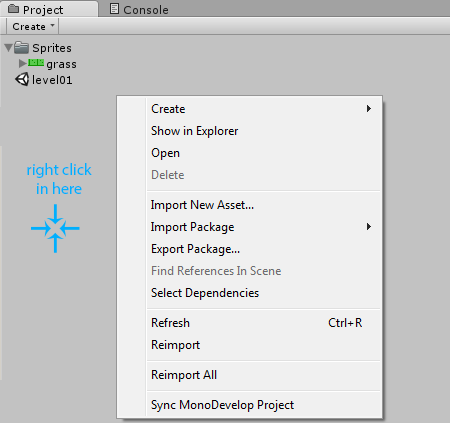 Later on when working on the build menu we will need a way to find out if a grass tile was clicked. 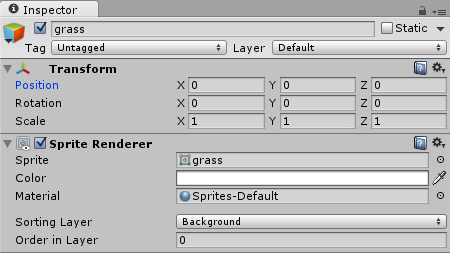 There are all kinds of different ways to do this in Unity, but the easiest one is to just use the OnMouseUpAsButton function that is automatically called by Unity if the grass was clicked. 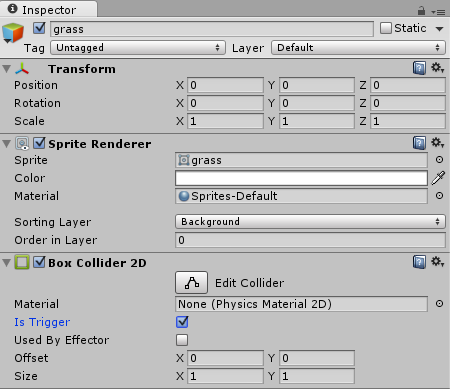 Note: enabling Is Trigger means that the grass will receive all kinds of collision information, but things won't actually collide with. So if a Zombie walks into a grass tile, it won't collide with it. Note: it's important that all the tiles have rounded positions like (2, 3) and never (2.01, 3.023). The Zombies should be able to attack the Plants, and the Firing Plant should be able to deal damage to the Zombies. 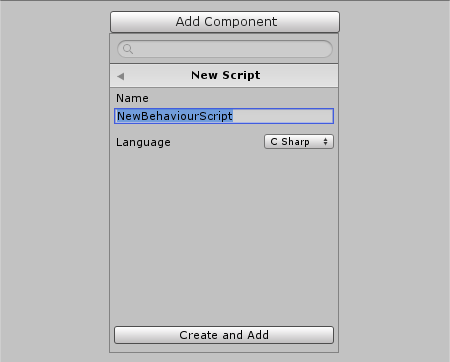 We will stick with Unity's component based nature and create only one Health script for all entities. 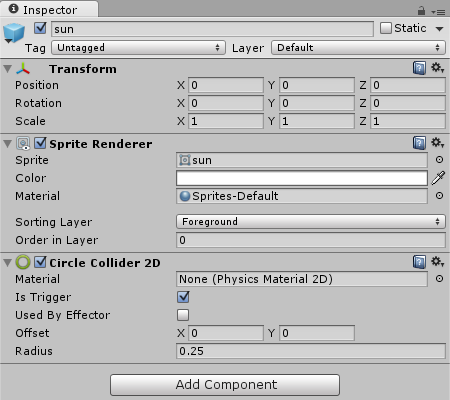 Note: we used SerializeField to let Unity know that we want to be able to modify the cur variable in the Inspector. Usually this is done by making it public, but in this case we don't want other Scripts to be able to access the cur variable. Instead they should always use the doDamage function. The Script will be added to all Plants and Zombies later on. Since we are developing a 2D game, animations are very easy to make with our drawing tool of choice and a few hours of time. The Filter Mode and Format influence the looks. 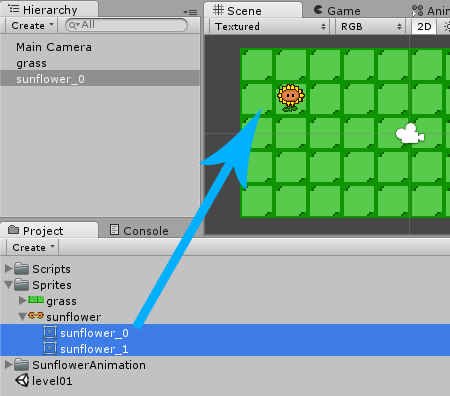 Setting the Sprite Mode to Multiple tells Unity that there are several sunflower parts (also known as Tiles) in one image. 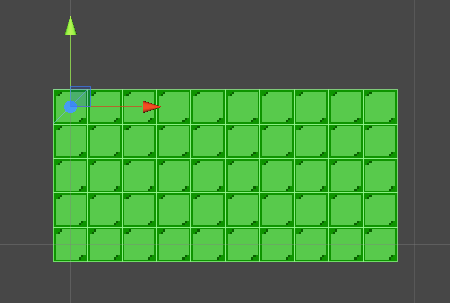 Now we have to tell Unity where those tiles are in the image. 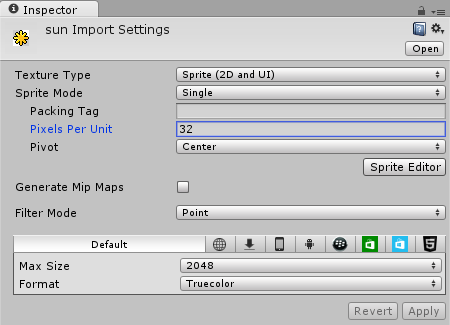 We can open the Sprite Editor by pressing the Sprite Editor button in the Inspector (it can be seen in the above image). Let's press Apply and then close the Sprite Editor. 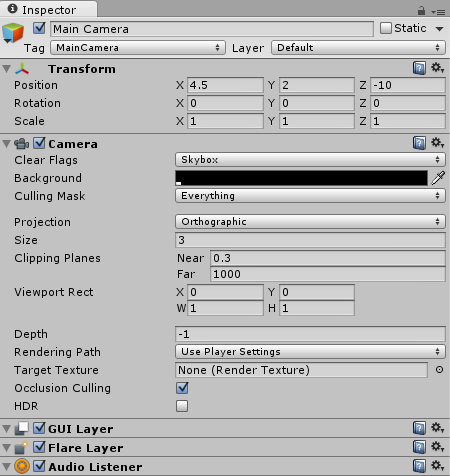 Once we drag it into the scene, Unity asks us where to save the Animation. 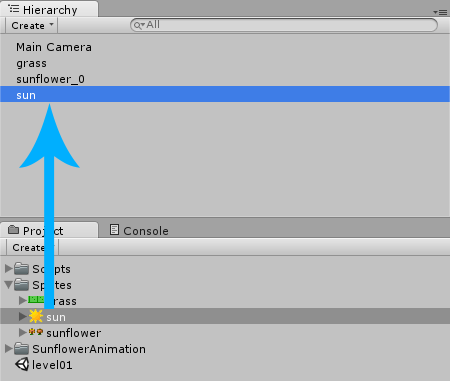 We can create a new SunflowerAnimation folder in our Project Area and then save it as idle.anim. 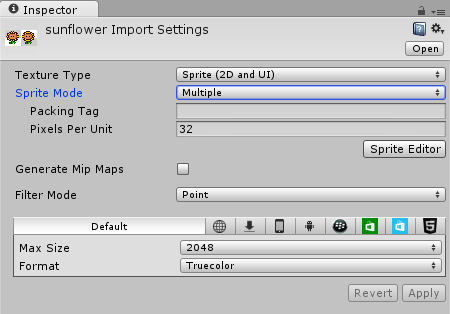 Note: we can modify the animation speed by double clicking the sunflower_0 file in the SunflowerAnimation folder, selecting the idle state and then changing the speed in the Inspector. Our plant should be part of the physics world, which means that we have to assign a Collider to it. A Collider makes sure that things will collide with the plant and that the plant will collide with other things. Note: our Sunflower was just placed somewhere randomly in the Scene. We will keep it in there for now as long as we are working on the sun spawns in the next step. Proper positioning on a grass tile will be implemented later on. Note: In the original Plants vs. Zombies game the Sun doesn't really collide with the plants or the zombies. 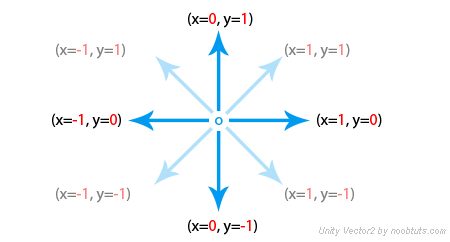 We can achieve this behavior by selecting Is Trigger in the Circle Collider 2D. This means that the sun receives collision information, but never really collides with anything. The zombies will be able to walk right through it, instead of colliding with it. Now we can delete it from the Hierarchy. Note: the sun will later be loaded into the Scene by using the Instantiate function. We can't just use the Sun Texture because we really do need a GameObject with Colliders and everything. If we press Play then we can see a new Sun spawn every 10 seconds. After a sun spawned it should slowly fade away towards the top of the screen. We will use a Rigidbody2D for that. A Rigidbody is usually used for everything in the physics world that is supposed to move around. Note: we set it in each FixedUpdate call so that whatever has this script attached to it will try to keep moving no matter what happens. This is useful for the Zombies that might not be able to keep moving when running into a plant, but our Script will make sure that they start moving again as soon as the plant was destroyed. The last thing we have to do when it comes to the sun is to allow the player to collect it. We will need one global score that keeps track of how many suns were collected, and we will need to increase that score whenever the player clicks on a sun. Note: we have to use static in order to make the score variable global. This means that it can be accessed by other scripts with SunCollect.score any time. The initial score value is 100 so the player has some sun to start building plants with. 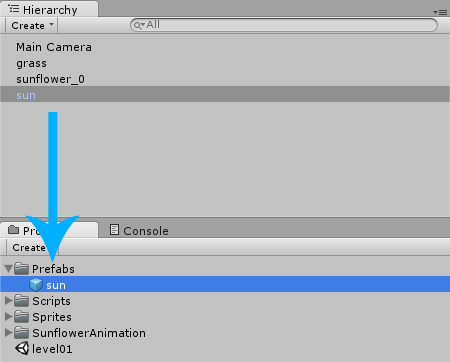 Once we added the Script to the sun Prefab we can press Play, wait for a sun to spawn and then collect it by clicking on it. Alright let's create one more plant, the type that is able to shoot at the Zombies. Enjoyed this preview? Become a Premium member and access the full Unity 2D Plants vs. Zombies Tutorial!